“General awesomeness all round,” said Claudette Sims referring to Halton Master Gardeners. However, this statement also rings true for the Fall Tree and Garden Care event held on September 13, 2018. The right tree for the right site. When you’re planting a tree, don’t plant for the current small size but for size the tree will become. Remember that trees’ roots extend two to three times the size of the canopy. Volcanoes are bad; donuts are good. 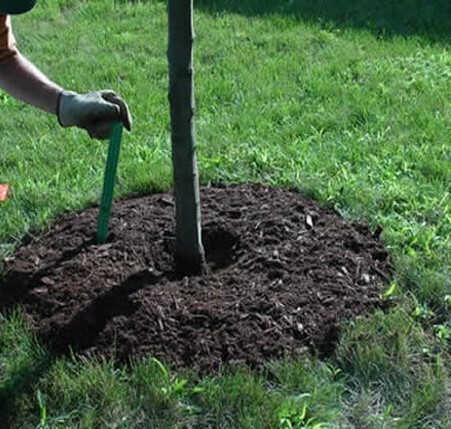 While mulch around a tree might look good, mulching in a volcano pattern will eventually kill your tree. Not only is there too much moisture around the bark promoting disease but shallow roots will also grow upwards towards the mulch. The city prunes trees for health, safety and good structure, not for looks. Trees are valuable from both an economic and environmental perspective. The wrong way (volcano) to mulch around new trees. The right way (donut) to mulch around new trees. Fall garden clean up should only include removing weeds and weed seeds. All other plants should remain until the spring so that birds can feed on the seeds and native bees, butterflies, ladybugs, frogs, toads and salamanders can have a home for the winter helping to feed on the insects you don’t want in the spring. Don’t prune your shrubs too late in the season as pruning encourages growth and this new growth won’t be strong enough to survive the winter. Fall is a great time to divide your plants, remove tender bulbs and plant spring bulbs such as daffodils, tulips and crocuses. A great suggestion is to place clay plant saucers over your new bulb plantings both to remember where you put them and also to reduce the chance of squirrels changing your landscaping plans and moving the bulbs. Sign up for the Halton Master Gardeners monthly newsletter for seasonal tips at haltonmastergardeners@gmail.com. 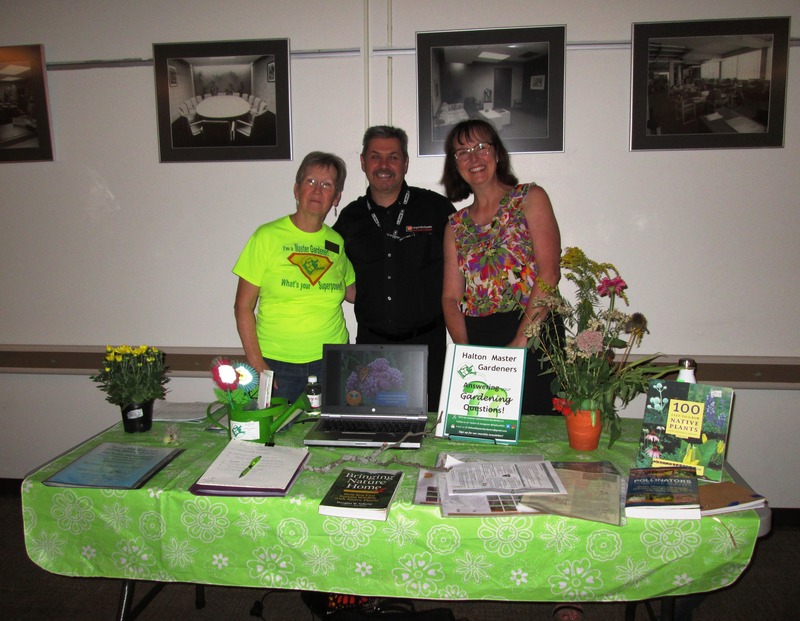 Tim Park, chair of the Burlington Sustainable Development Committee, with Halton Master Gardeners Claudette Sims and Janet Hughes-Mackey. The need to know your plants and tips to save seeds. Save seeds from plants that are open pollinated as hybrid seeds often don’t reproduce. How to grow your own food year-round. Options included aquaponic gardens (Central library has one near the information desk), hydroponic gardens, indoor container gardening and spouting. Susan even brought an example of her personal mason jar micro garden with “Goldie” named by her child. The library has programs to help you grow your own food including how to build a mason jar garden and how to garden in a bucket. Contact Susan at the library for more information. 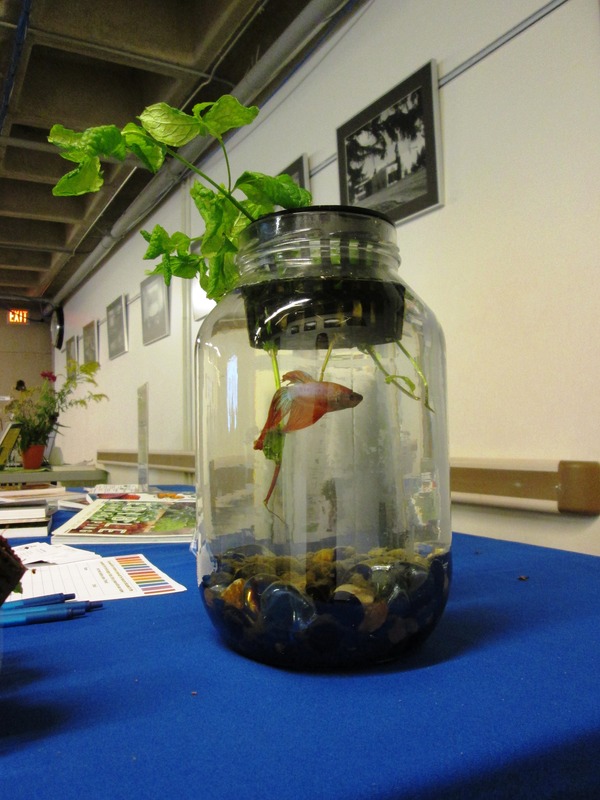 A mason jar garden featuring Goldie the fish. After the presentations, an engaging Q&A session followed. Once the session ended, residents were able to speak with the presenters one-on-one and visit the library, master gardener and SDC booths. A big thank you to those who took the time to attend the Fall Tree and Garden Care event at Burlington Public Library and to the Burlington Sustainable Development Committee for coordinating the event. Take Action Burlington! Collectively we can work together to make your home and Burlington greener. A back to school reminder for drivers. Turn your engines off while you wait. Excellent summary. Keep up the good work. Really appreciate the work in writing the post. 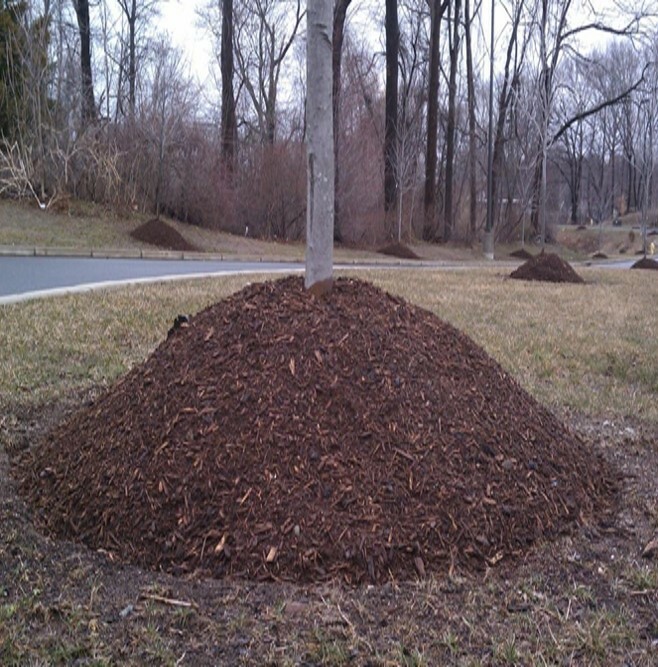 Glad to see that you’re pointing out one of the common things that we see: too much mulch around a tree. We have some other tips for homeowners through our blog if you’re interested in sharing with your visitors some quality information from an arborist perspective.